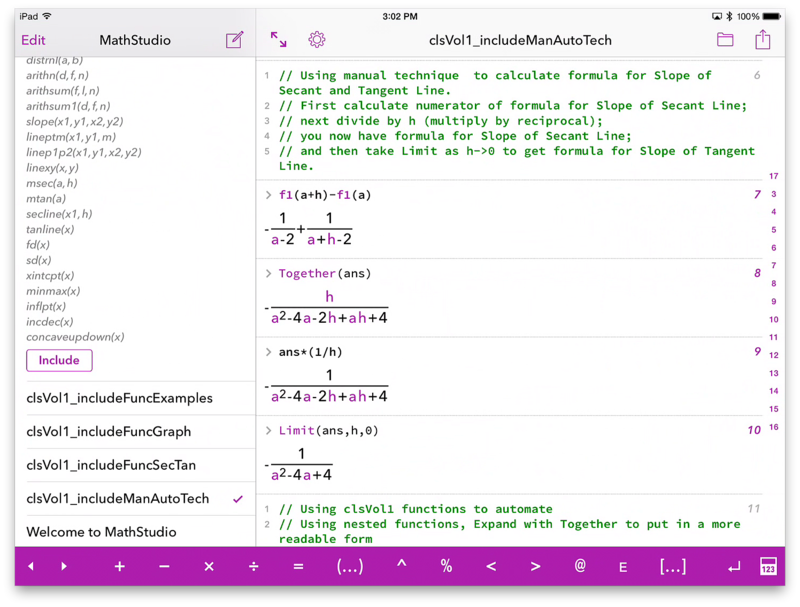 Works with version 5.3, 5.4 and 6 of MathStudio and 5.5.2 or higher of MathStudio Express. Calculates x and y intercepts, type I relative maximums and minimums candidates, inflection points, and plot function showing increasing and decreasing plus concavity functions. These allow you to easily use derivative tests to find relative maximums and minimums. Show traditional manual steps plus uses clsVol1 (Souce Code) library to automate the process. Edit the function for new functions.